Practicing, recording, and live performance has never been good without guitar amplifiers. Fingerpicking or strumming sounds completely different when you use them. Moreover, the manufacturers have been revolutionizing them day after day. This has led to advanced forms of guitar amplifiers that have built-in speakers, software, and modern controllers. Leaving no stone unturned, we conducted independent research to present you with the best amplifiers. These high-scoring heads or combos will assist you in gigging, or playing at home. You may encounter big names in the musical instruments industry, but we recommend you look at the features. Read this comprehensive review of guitar amplifiers. This is a 3-watt mini amp with ISF and tape delay. Therefore, you can make it resonate. 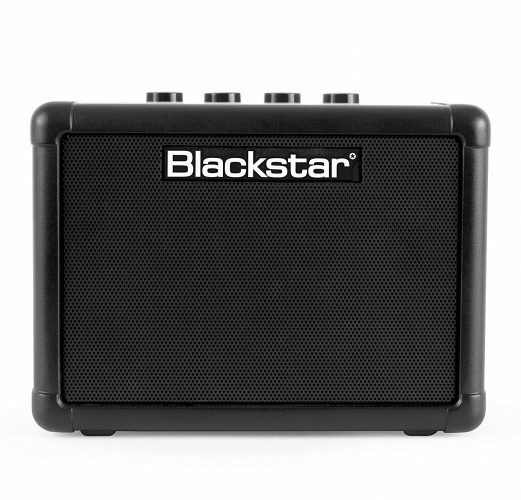 It stands out among portable guitar amplifiers with high output. Additionally, it produces big tones when the volumes are low. The amplifier has a small design. It is , therefore, easy to carry. Also, it has a built-in mp3 jack to connect other devices. You can power it using a battery. Just the way this speaker blows sounds, it blows away the competition. This 60-watt amp sounds amazingly loud. Additionally, it has a good frequency response. If you are a beginner or a usual guitar player, this is an ideal choice. These guitar amplifiers comprise an 8-inch speaker, controllers, channels, and inputs. Therefore, you can regulate the bass, treble, and mid-range. Also, it is easy to use the built-in digital delay for delay effects. If you need to practice in silence, you can plug in your earphones. The amplifier is solid and of high-quality. These guitar amplifiers have (Virtual Tube Circuitry) VTC-Technology. The amp is ideal for acoustic instruments. Additionally, it has a wide frequency response due to its 8-inch dual-cone BUGERA speaker. You can also use it with a microphone. The VTC technology makes it produce a tubelike sound. Besides, the amp has 3-band EQ to control the nature of the sound. It has an input to use with a microphone and a separate control. This is a detailed and crisp guitar amplifier from Monoprice. 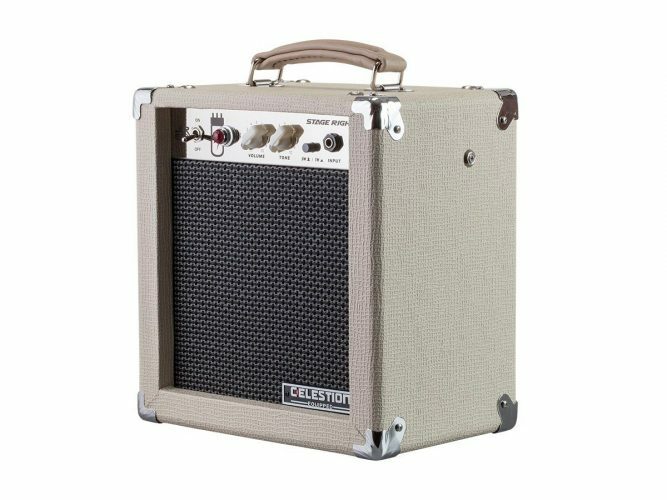 The 5-Watt 1×8 Guitar Combo Tube Amplifier with Celestion Speaker has well-balanced highs, mids, and bottom ends. Additionally, its high sounds surpass most speakers of its class and size. 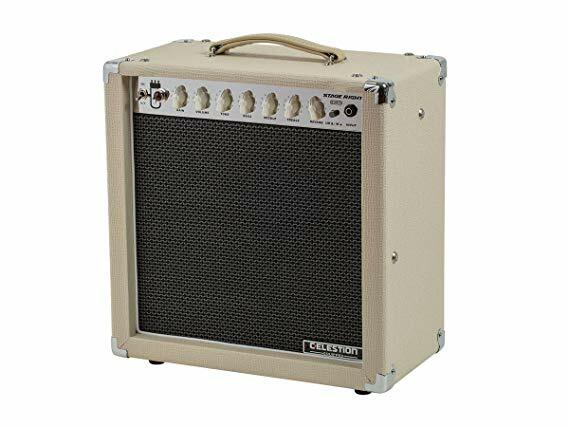 These tube guitar amplifiers have rounded tones and great distortions. Besides, it can handle 80Hz and 10 kHz of frequencies. It has a celestion super 8 GBA -15 speaker, a 6V6GT power tube, and preamplification tube. Having been in business since 1946, you can accept that Fender has quality musical instruments. You can prove this by getting these guitar amplifiers. It would form an integral part of your music career or passion. Moreover, you can enjoy the high sounds and the ease of controlling it. These guitar amplifiers have all the controllers on one side. They have handles for easy carrying too. Each amplifier has an auxiliary input that you can connect with your headphones for silent practicing. Also, it has a solid construction and hence lasts longer. Can accommodate most music genres. 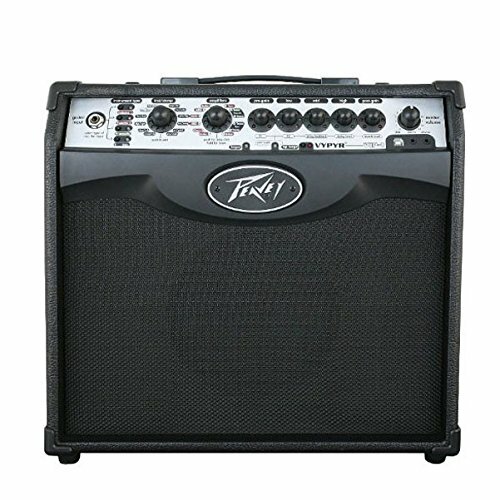 We all know that Peavey Electronics has some of the best guitar amplifiers in the industry. In their journey to revolutionize instruments, they made this amplifier for you. It is unique in that you can play using electric, acoustic, and bass guitar. This is the first guitar amplifier designed for three guitar models. This is a revolutionary of the previous VYPYR series and hence more advanced. It has instrument inputs and controls for sound shaping. These guitar amplifiers produce great tones and flexibility. The preamp is driven by three 12AX7 tubes. They also enhance the reverb sections. Most of all, the punch will reach you via two EL84 tubes. Monoprice designed it with a great design. The amplifier has 15-watt power. Also, it has Celestion speaker. Unlike most guitar amplifier, this one has clear controls at the front side. Therefore, you can regulate the bass, tremble, and reverb. It has a cloth speaker grill and leather exterior. 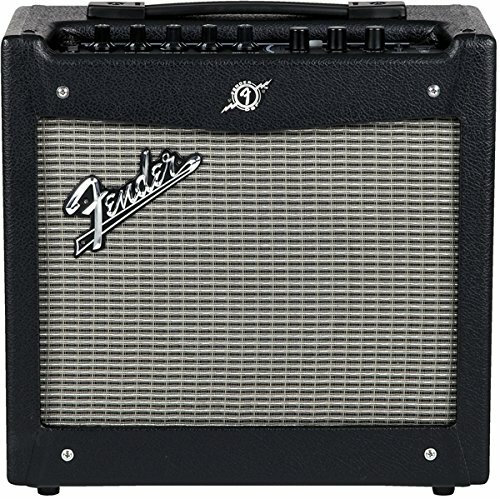 If you need guitar amplifiers with astounding sounds and features, we recommend this product. Marshall engineered it with high volume and unique tone. Therefore, you can have a round-bodied tone anytime. This guitar amplifier has two woofers, each with 8 inches. Additionally, Marshall designed poly-dome tweeter that brings each instrument performance into clarity. There are microphone input and other analog inputs for media sources. 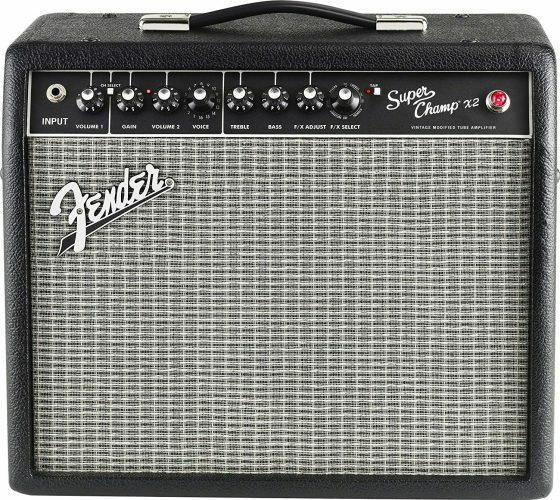 The Super Champ X3 combo amplifier is yet another product from Fender. The reason we have it on our list is that it has a wide selection of digital effects, amp voicing, and other features. Moreover, you can connect it with your computer and customize the voicing as you desire. Let’s get into more details. 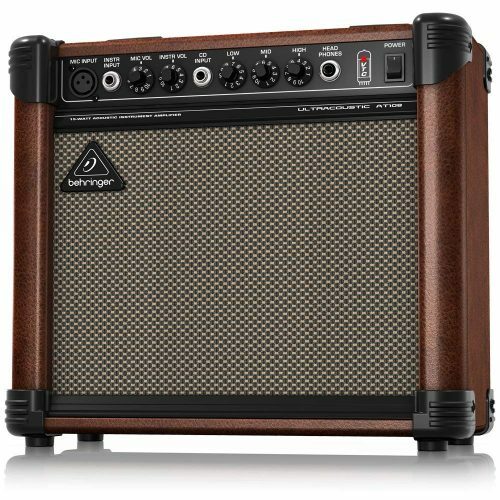 Although it looks similar to other guitar amplifiers, the performance is better. It has one Fender Special design speaker of 10 inches. Additionally, you can select 16 amp types using a voicing knob. The level control helps to select 15 effects and other controls. Another unique element is the footswitch. 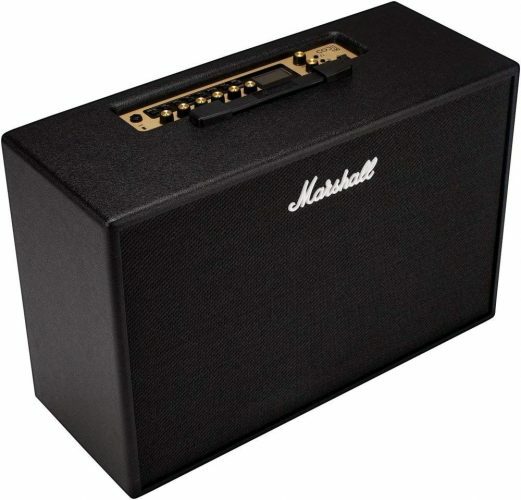 The brand Marshall has added another product to our list of guitar amplifiers. This is a powerful amp since it has 100-Watts. Additionally, you can use it with your Android, iPhone, or other wireless (Bluetooth) devices. The speaker has a good shape and a simple design. 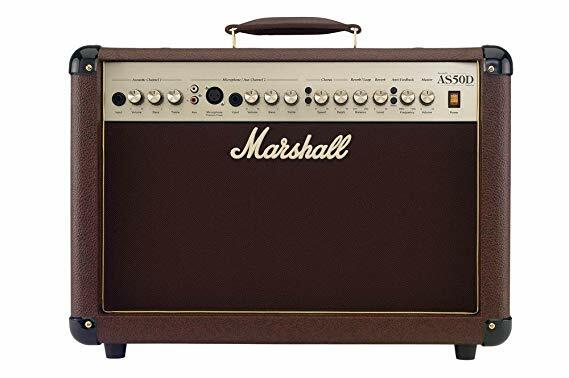 Although it is a little bit bulky, Marshall made it one of the best guitar amplifiers on the market. It has two speakers with 12inches each. Also, the amp has aux input and a 2-channel footswitch. This guide is meant to enlighten you on the best guitar amplifiers. With the details we provided, you can confidently buy your favorite amplifier for your music sessions. Each of them has a unique feature. Also, we only selected guitar amps with the best performance. Therefore, you will not be disappointed. Although many sellers praise their products beyond performance, we hope that you will be safe from a poor quality product. Check all the information regarding the design, quality, and features. You should also consider the versatility of the amplifiers before placing your order. 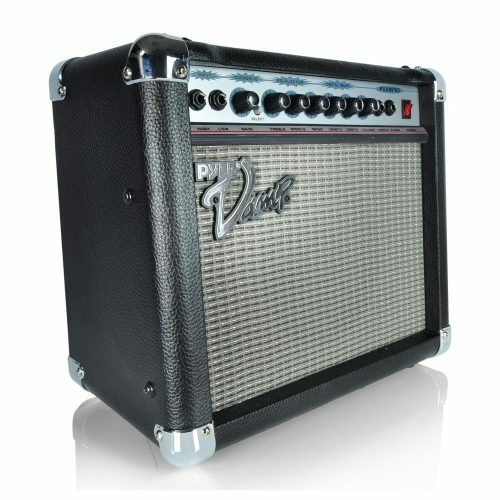 Choose from our list of the leading guitar amplifiers.